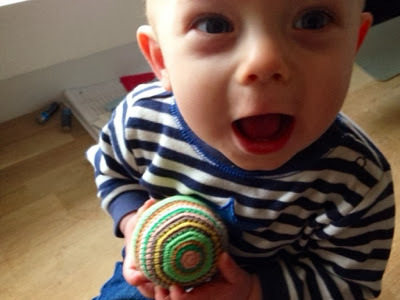 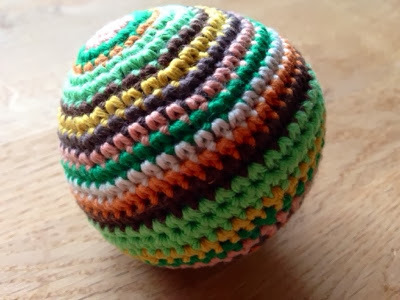 English recap: Made a little crocheted ball with stripes for my son. 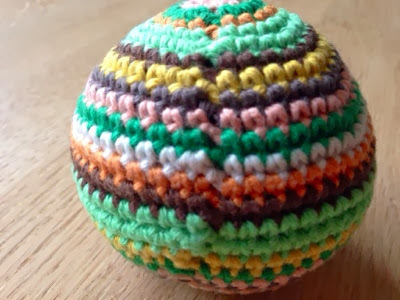 I used this Danish pattern. 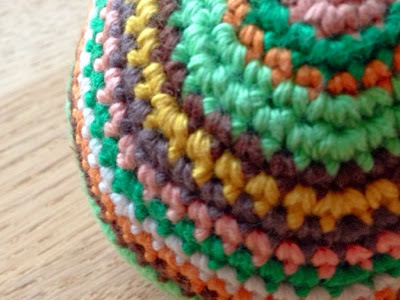 A great tip for joining crochet rounds can be found here.